“Of the 44 species of slug known to exist in the UK only nine are serious pests. Most are important composters and feed on fungi, lichens and algae. 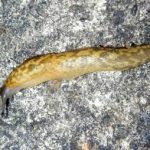 Slugs are also a valuable part of the garden ecosystem because they serve as an important food source for birds, hedgehogs and other garden visitors.